Ashton Court Producers’ Market, a joint venture by Sophie Bowden of Mullion Cove and Bristol City Council, are about to celebrate their first year anniversary in May. 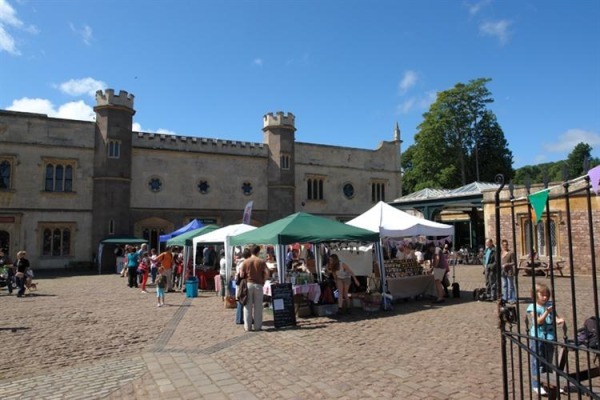 This popular monthly market has grown from a small select group of stalls to a busy and vibrant market with up to 25 food, drink and craft producers selling high quality and locally made products. The market has also recently changed its name from a ‘farmers’ to a ‘producers’ market to reflect the wide variety of products available and to encourage producers as well as farmers to take part. This year the market will be putting on 3 extra markets as well as the usual monthly markets which happen every third Sunday between March and December. The first extra market will be on Sunday 1 July as part of ‘Love your local market’ fortnight, a government backed initiative in response to the Mary Portas review. The market will have 5 reduced rate pitches to offer up to new local food and drink businesses wanting to try their hand at selling their product with minimal cost. The market will give these new producers the opportunity to road test their products and gain essential market research into their business. Potential applicants should email sophie@mullioncove.net for further information, terms and conditions will apply. The next extra market will be on Sunday 5 August to celebrate the Olympics with fun and entertainment planned for all the family. And finally, an extra Halloween themed market is planned for Sunday 28 October, expect ghostly goings on, Halloween related food and spooky stories! For further information, please visit www.mullioncove.net. You can also follow all the market news on Twitter (@AshtonCourtPM) and Facebook.